Here are 10 clever ways to disguise your home’s flaws. What makes a house a home? It’s a hard question to answer, but a large part of it is the years of memories you’ve made in it. Oftentimes that includes the blemishes, flaws and dents on the walls and furniture that serve as lasting impressions of cherished moments and fun times. However, whether you’re selling your home or just making it presentable for guests, there are times you’ll want to camouflage them up. Read on for 10 clever ways to disguise your home’s flaws. Put your inner art connoisseur to work to blend random light switches or bulky thermostats into your design. Strategically place similarly sized artwork around switch plates, outlet covers and wall gadgets to distract the eye. If you want to cover it entirely, mount a canvas painting over it or hang art from a swing arm so you can reach behind it when necessary. Window treatments are generally used for, you guessed it, windows, but they certainly aren’t restricted to other uses. Drape big and breezy curtains above to disguise unsightly wall features or awkward off-center windows. Off-white and cream shades are perfect to use now and throughout winter, such as the one seen in this Swedish bedroom that cleverly conceals the radiator and window when pulled closed. This is probably one of the most obvious solutions to drywall chips and paint scratches, but here are some guidelines to help you get it right. Stick to one matte color for the walls, ceiling and trim to downplay the lines between and blend them together. Remember, the glossier the paint finish is, the more it will highlight imperfections. 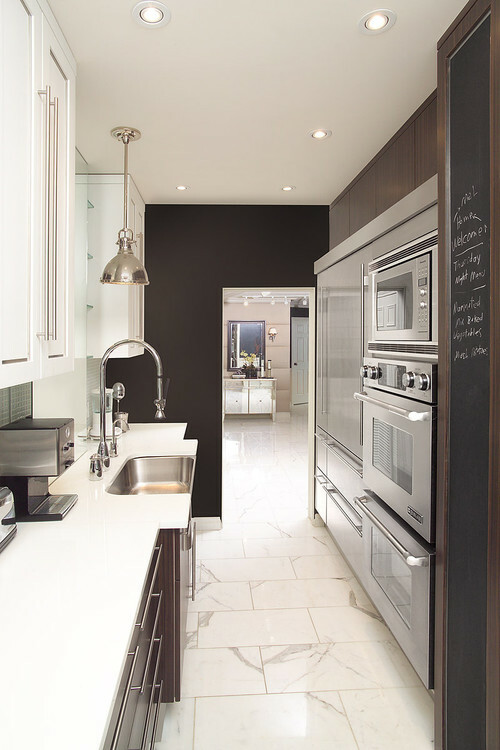 Consider chalkboard paint for a non-glossy texture and an ever-changing wall feature. You can create your own design and erase it as your style evolves or use it to jot down lists and reminders. Add wallpaper. Use wallpaper to inject personality and fun into any space. Choose from subtle designs to a dramatic mural or anywhere in between. Keep optical illusions in mind when picking patterns. For example, a striped design can make a small space look taller or wider. If you have a scratch on your bedroom wall that just won’t go away, play fashionista and move a shop-style clothing rack in front. Showcase some of your most stylish garments or everyday staples on the rack to lighten your closet’s load. Roll out a gorgeous area rug over all the nicks and notches on your floor from moving furniture or dropping heavy items. Especially great for renters, rugs come in a variety of styles, colors and price points to fit your personal preferences without committing to a permanent change. 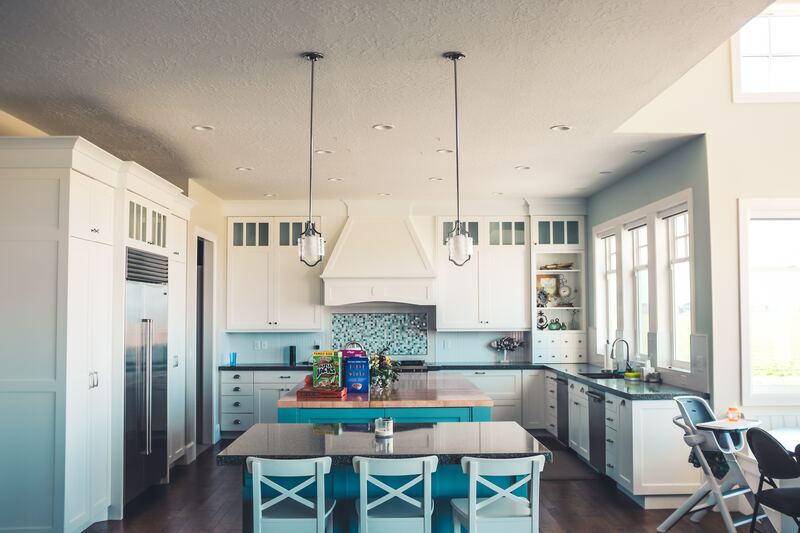 This is a bit of a heavier project to take on, but perhaps most rewarding for those left with an infamous popcorn ceiling. 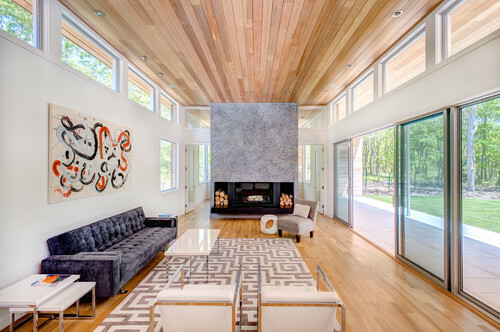 Upgrade overhead stucco for a beautiful new feature with paint or paneling. Try white beadboard or wood slats for irresistible rustic charm. Air vents are necessary for cooling, heating and any other home circulation systems, but can be quite unattractive. Conceal them with slotted laser-cut screens that add texture and visual interest. 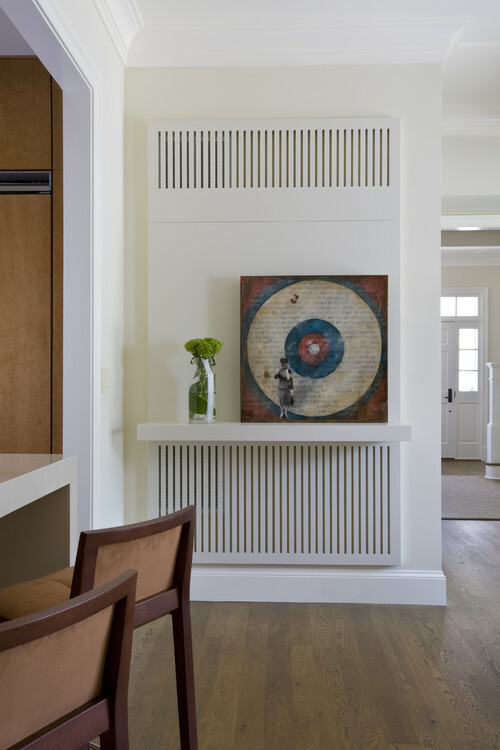 In this D.C. living room, the revamped air return works double duty as a display shelf. Light switches and power outlets are must-haves in every home and there’s often no easy way around them. 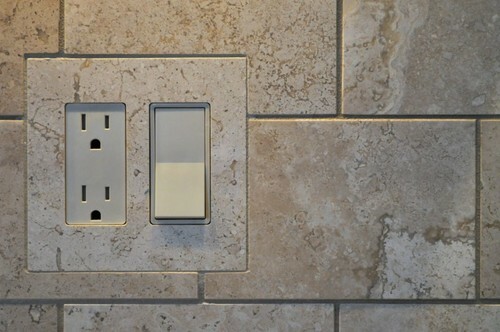 Wherever possible, especially in the kitchen and bathroom, group your electrical outlets together and shop for new switch plates that complement the existing wall. You can blend them into an existing pattern, as seen here, or make them a fun feature with vibrant colors and textured materials. Embrace imperfections. After all, they’re what makes your house so special. You can capitalize on the look and help them blend in by investing in distressed furnishings, such as rustic coffee tables or stained wood floors. You won’t have to worry too much about future drops or spills and they instantly add built-in age and character to any space.